Nintendo's official 3DS Circle Pad Pro extension is, well, it's not very pretty. It's also getting hard to find. 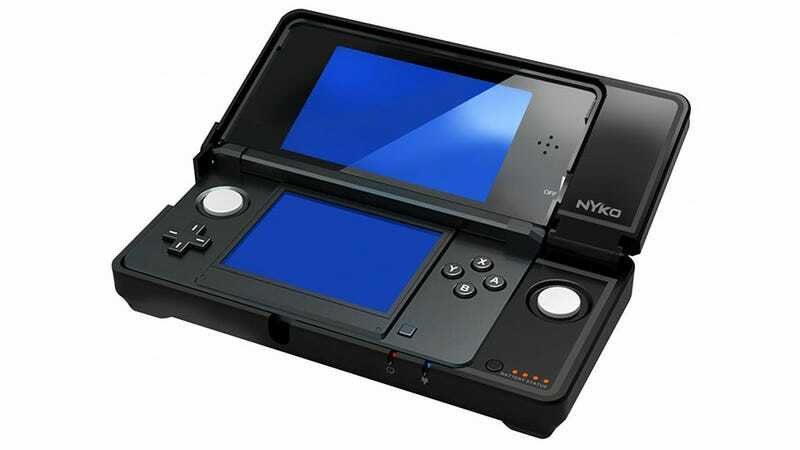 Thank the maker for Nyko, then, who have not only produced the world's first third-party alternative, but have come up with something that looks much nicer than Nintendo's offering. For $30, the Nyko Power Grip Pro is not only a more attractive alternative, but a more practical one as well, doubling (well, tripling) as a protector and a battery extender as well. For the extra $10 (Nintendo's pad is $20), that seems totally worth it. It'll hopefully start shipping in October.